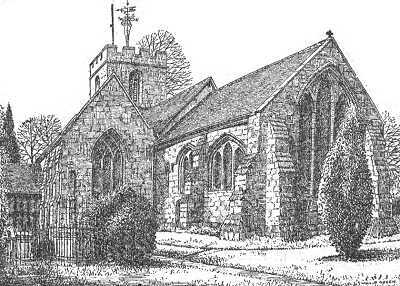 The old church of St. Laurence, mentioned in Domesday Book. Traces of mediaeval wall paintings have been discovered. (drawn 1938) The original of this drawing is missing.